Jimmy Wolf pays some due respect on the self-released A Tribute to Little Johnny Taylor to the Conway, Arkansas native that shows the blues did not start and end in Mississippi. Little Johnny Taylor’s approach was sometimes compared to Bobby Bland although Little Johnny Taylor had several successful R&B chart successes of his own in the 60’s and 70’s which included a couple of pop crossover hits “Part Time Love” and “Everybody Knows About My Good Thing” which are both featured on this collection. 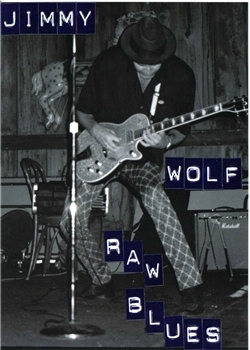 Jimmy Wolf makes some use of his deep knowledge of living and playing on Memphis’ Ground Zero for the Blues down B.B. and Furry Lewis’ playground; Beale Street where he spent several years jamming with some artists that one wouldn’t know much about unless you spent time listening to the late great Fred Saunders among others. 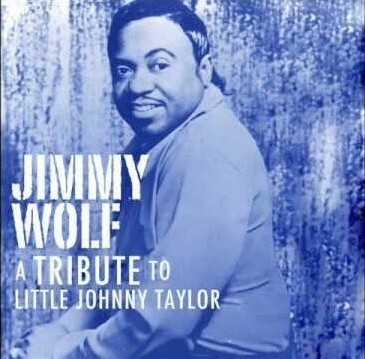 By picking from the Little Johnny Taylor catalog, Jimmy Wolf has a deep reservoir of great songs that have not been exploited time and time again. 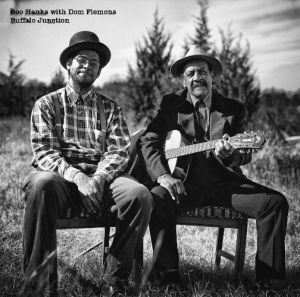 Many of the songs on this album may be a first listen to a lot of new blues fans just like when Eric Clapton brought Robert Johnson’s “Crossroads” to a modern generation. In fact, the material is so strong; Jimmy could have easily done a Volume Two. The gatefold photos of Jimmy with Little Johnny Taylor probably back when he was playing in Memphis and a shot closer to when Little Johnny Taylor passed away is worth the price of admission alone. Jimmy probably has some great stories about playing with the greats in Memphis for a big chunk of his life. “Walking The Floor” kicks off with a swing boogie sing-a-long that would get any room going. He’s got a strong band on this album and Jimmy’s first hand Memphis experience with a cross of Albert Collins’ Ice Pick bite and Albert King’s early 70’s lead vibe has lots of swagger and nasty string bends. Jimmy plays like he has something to prove. “Zig Zag Lightning” has the strident snare 1-2-3-4 hits of the original Galaxy records cut but with a little bit of some modern Memphis street funk especially in the hi-hat accents and plenty of B3 vibe thrown in. Jimmy’s playing is smooth almost Curtis Mayfield groove before hitting the pedal for his lead break which breaks through a sheet of ice and staggers through a big gain stage closeout reminiscent of what Gary Moore was after with the blues before passing away with some Paul Kossoff trigger finger vibrato..
“Everybody Knows About My Good Thing” kicks out the beginning with a little Albert King on the V type break. Jimmy plays as if he has to get the crowd response hear and now. The playing is not laid back for the record. This might as well have been recorded on a hot august night down on Beale Street where the crowd will walk out on you if they aint feelin’ it. Jimmy’s good thing is solid cut through the mix lead breaks. The album is a big enough showpiece that Jimmy Wolf and his band, Thomas “T.C.” Carter on Bass, Joe “Lawd Deez” Cummings on Keys and Stephen “Rythmcnasty” Bender on drums should be doing a multi-night stand at The Drop Zone in Northern Arkansas while Conway gives Jimmy the key to the city and proclaims Little Johnny Taylor day. 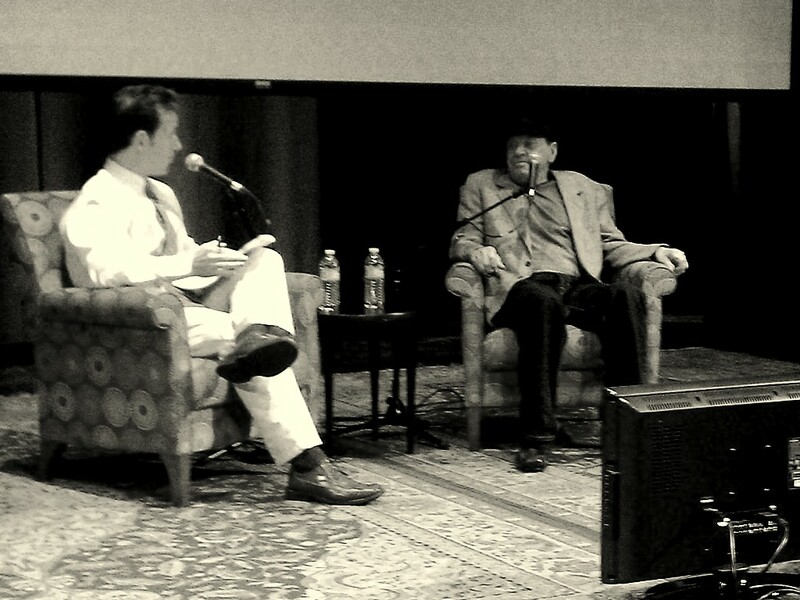 Chips Moman was at The Ford Theater in The Country Music Hall of Fame as part of the “Celebrate the King” series on Saturday, August 19th and spent a little over an hour talking about over thirty years worth of work in the music industry. If there were a list of the top 25 people that are responsible for American music today as we know it, Chips would be there. 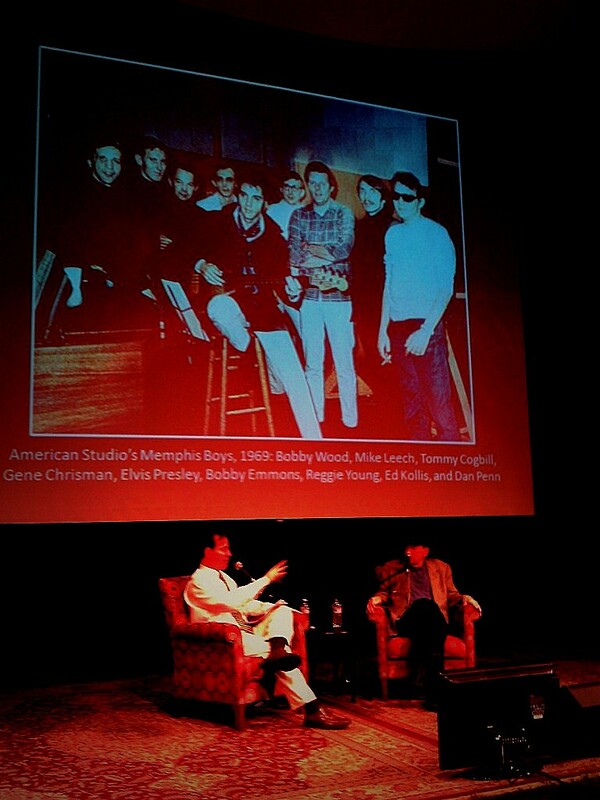 Chips, who rarely does such interviews, drew a five star crowd of musicians that worked with him, especially in the Memphis years. Original guitarist for Elvis, Scotty Moore as well, the members of The Memphis Boys, sessions cats from the American Sound Studio years featuring guitarist, Reggie Young. Also, Gary Talley from The Box Tops. 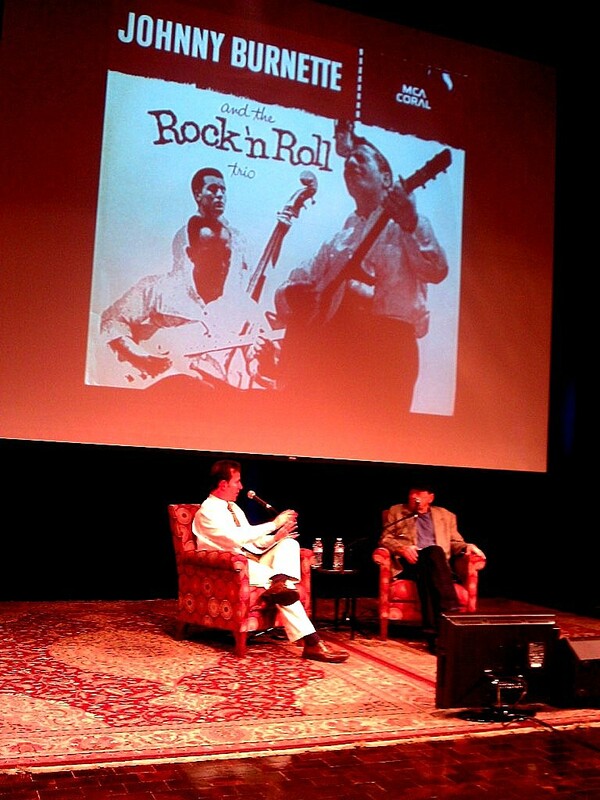 James Burton, the other prominent guitarist in Elvis Presley’s career was also there. Chips, who grew up listening to Les Paul & Mary Ford on the radio as a young boy, was also asked when he first heard Black Music. Chips just said, “I guess it was while I was picking cotton when I was a boy,” which brought a little laughter. It was hard to get a straight answer when one of the architects of the Memphis Sound was just going to play off your last statement. Chips Moman started playing guitar on some Sun Sessions for Warren Smith. In those early days, he played guitar in road bands for Gene Vincent and The Burnette Brothers. 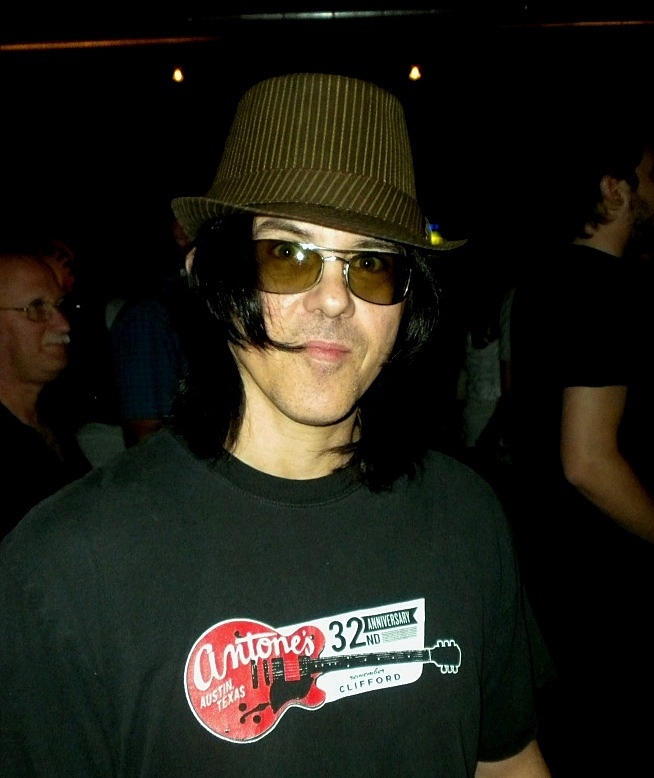 Chips left Memphis for a while and headed out to California and worked at Gold Star studios as a session player while learning the studio experience where Phil Spector would develop the “Wall of Sound” production techniques. With that experience, Chips was ready to work with somebody to start an R&B label when he got back to Memphis. 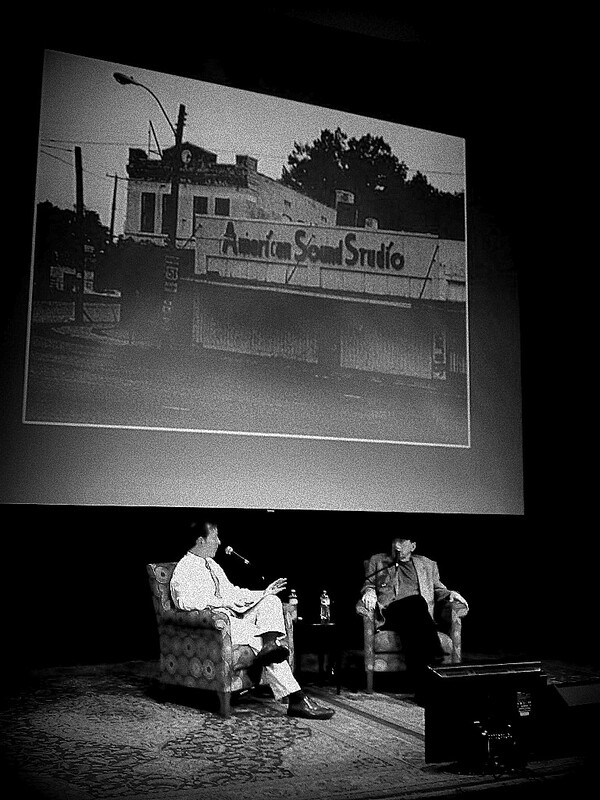 Chips had talked Jim Stewart into buying a tape machine and went to scope out a place for a studio with Paul Ritchie and it was really under Chips insistence that they purchased the Theater on McLemore Avenue in Memphis that would serve as the recording studio for Satellite and Stax releases. 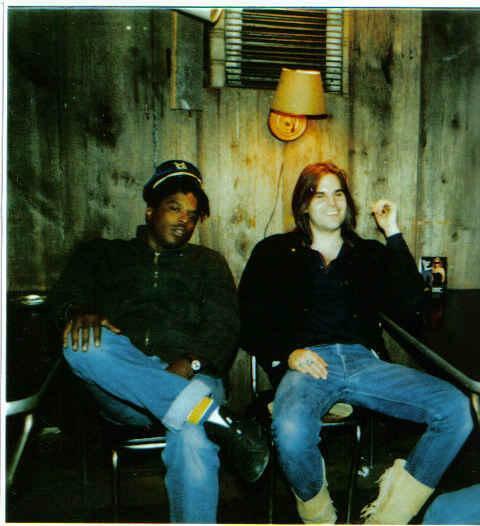 In fact Chips wrote the first big hit, “Last Night” by The Markeys that was on Satellite Records and helped to establish the Memphis Sound with the driving beat, horns and locked in guitar, bass and drums. Chips was a true visionary able to play guitar, compose music, run a label and act as Producer for well over 100 Billboard hits during the sixties and seventies. A little inside story, Chips owned a little British sports car where Booker T. & The MG’s got their name from. When asked why he left Stax, the simple answer was that he wasn’t getting paid. The first hit record out of American Sound Studio. What happened next was the founding of his own studio, American Sound Studio, where not only did Chips continue composing and Producing, but, other great American Producers such as Jerry Wexler and Tom Dowd worked to create some magic including the classic album, Dusty in Memphis by Dusty Springfield. After the Martin Luther King Jr. assassination, the vibe had changed in Memphis and so did the music business. Chips began spending more time in Nashville and Muscle Shoals, Alabama. Chips co-wrote “Do Right Woman, Do Right Man” for Aretha Franklin whom he said was one his favorite singers at that time. Chips played guitar on that track along with tracks by Wilson Pickett. 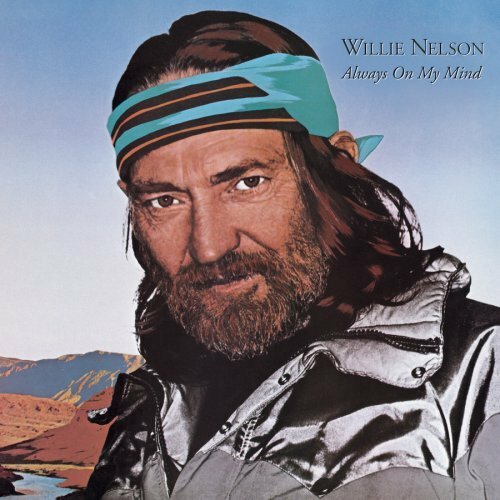 Although, Chips would have liked to see things get back the way they were in Memphis, they never did turn around and later on, Chips ended up producing a lot of great recordings by Willie Nelson, Gary Stewart, Tammy Wynette, Ronnie Milsap, and The Highwaymen. 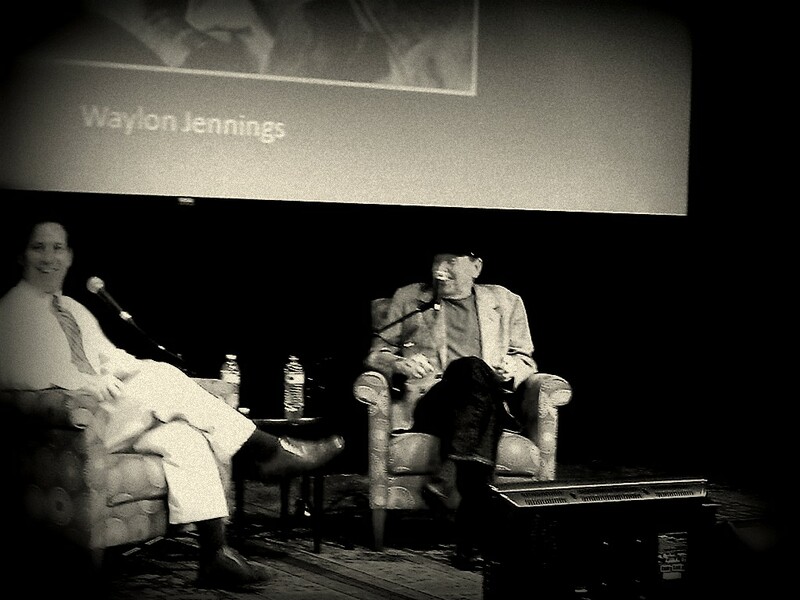 Chips penned, “ Luckenbach, Texas (Back To The Basics Of Love)” for Waylon Jennings after hearing him talk about the place. Chips moved seamlessly from musician to songwriter to producer to studio owner in the triumvirate domain that was Memphis, Muscle Shoals and Nashville speaking in R&B, Pop and Country like it was water out of the same stream. On the current state of Memphis…”It aint Nashville.” Without being critical of Memphis itself, that statement was enough that not much else needs to be said. Chips went back in the 80’s to try to turn it around, but, although there are still some quality music coming out of studios in Memphis, the infrastructure that was there from the 60’s through to the early 70’s may never happen again. With such a well respected lifespan in the music business there were certainly many milestones rather than one single event in the life of Chips Moman. Dunn was born in the city that changed the world of music, Memphis, Tennessee on November 24th, 1941. His father nicknamed him “Duck” while watching Disney cartoons with him one day. Dunn grew up playing sports and riding his bike with fellow future professional musician Steve Cropper. 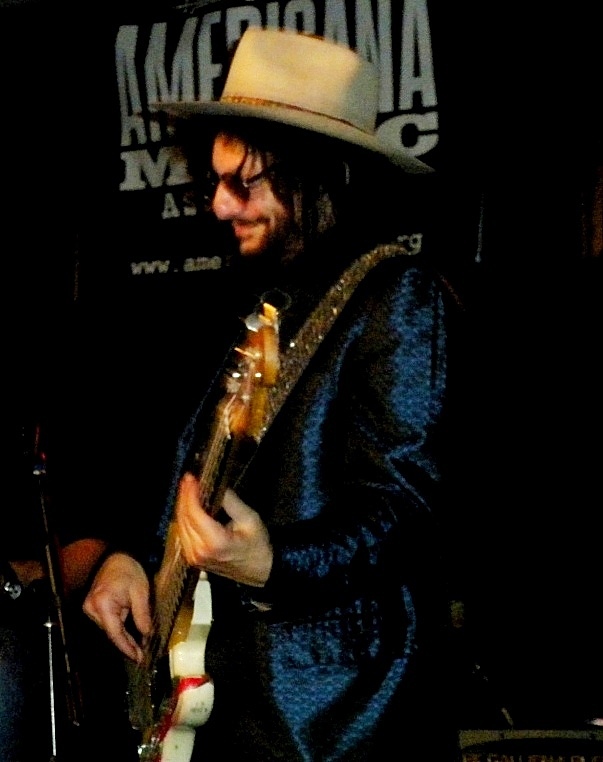 After Cropper began playing guitar with mutual friend Charlie Freeman, Dunn decided to pick up the bass guitar. 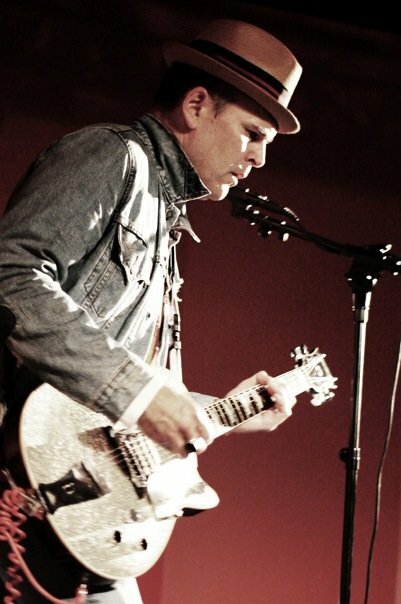 Eventually, along with drummer Terry Johnson, the four became “The Royal Spades”. 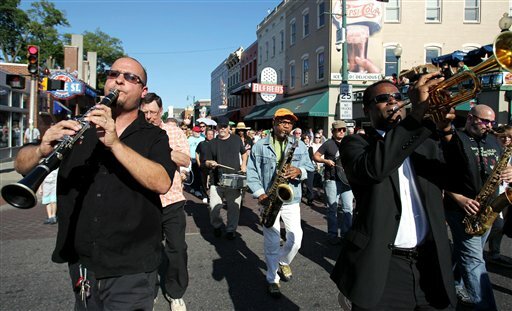 The Messick High School group picked up keyboardist Jerry “Smoochy” Smith, singer Ronnie Angel (also known as Stoots), and a budding young horn section in baritone saxophone player Don Nix, tenor saxophone player Charles “Packy” Axton, and trumpeter (and future co-founder of The Memphis Horns) Wayne Jackson. Duck would be a part of the second wave of the Memphis music explosion. The first being the triumvirate of cutting edge rock and roll, blues and country by the likes of Elvis Presley, B.B. King and Johnny Cash. As the sixties began, Rhythm and Blues began a soulful turn as the first recognizable integrated group, Booker T. & The MG’s, not shy on group photos, started a stretch of hit soul instrumentals beginning with “Green Onions.” This was long before Sly & The Family Stone, with Steve Cropper’s songwriting chops and guitar playing locked in arms length with the tight-in-the-pocket bass playing of Donald “Duck” Dunn. “I would have liked to have been on the road more, but the record company wanted us in the studio. Man, we were recording almost a hit a day for a while there,” Dunn said. Dunn may be best known for his role in The Blues Brothers as the pipe smoking quiet bassist, but, in reality he was one of a handful of bassists to define popular music of the Sixties. Cropper has noted how the self-taught Dunn started out playing along with records; filling in what he thought should be there. 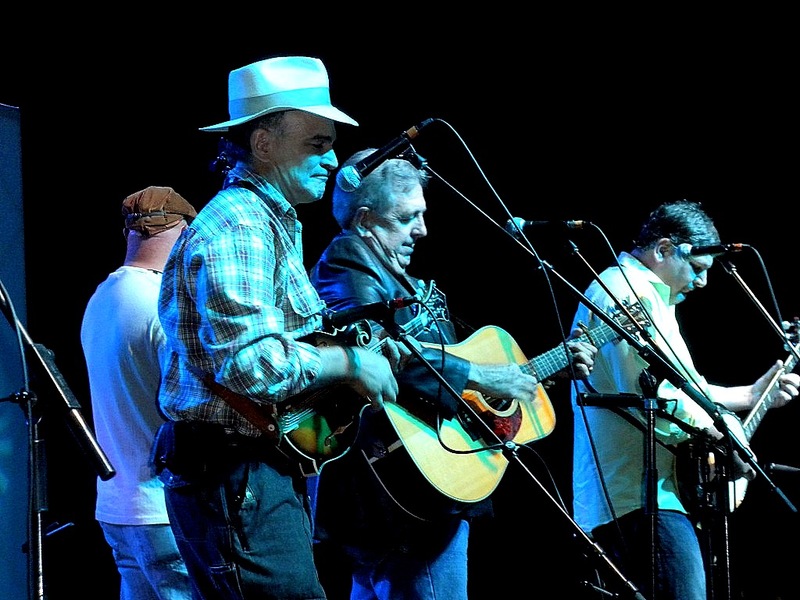 “That’s why Duck Dunn’s bass lines are very unique”, Cropper said, “They’re not locked into somebody’s schoolbook somewhere”. 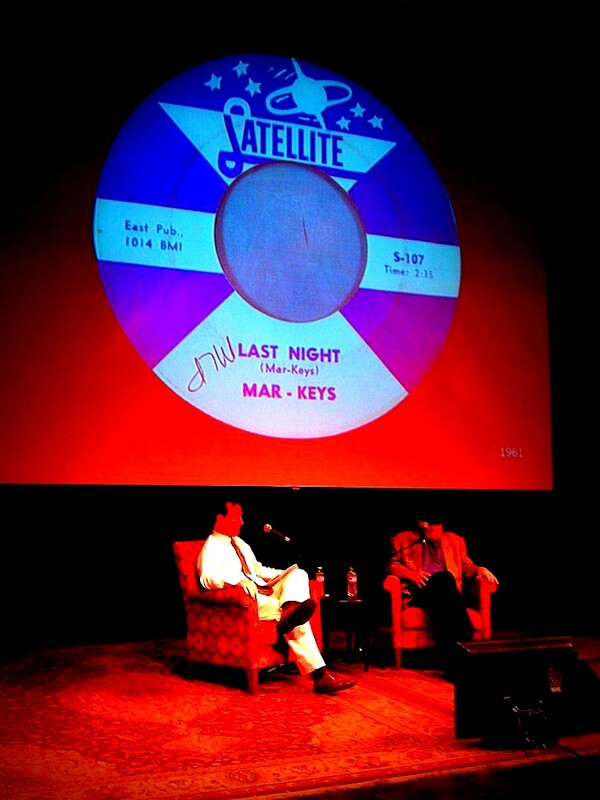 Axton’s mother Estelle and her brother Jim Stewart owned Satellite Records , where Steve Cropper worked in High School, and signed the band, who had a national hit with “Last Night” in 1961 under their new name “The Mar-Keys“. 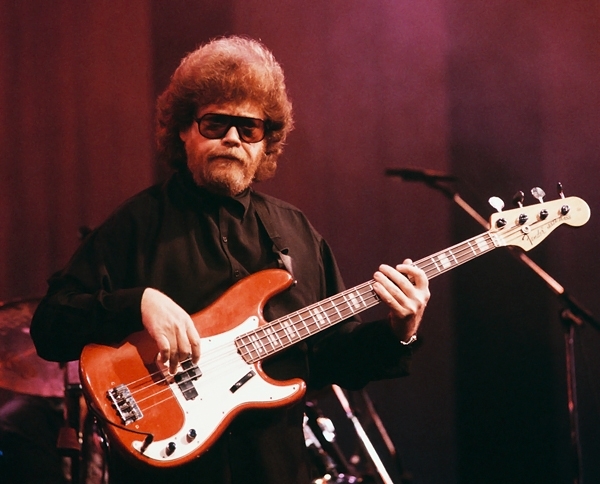 The bassist on “Last Night” was Donald “Duck” Dunn, but he left the Mar-Keys in 1962 to join Ben Branch‘s big band. Probably one of the most noteworthy gigs was with Otis Redding. 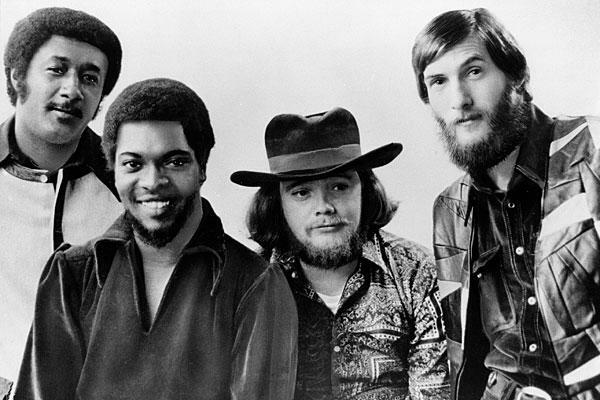 Steve Cropper wrote several songs for Redding on which Duck played. Otis Redding and Booker T. & The MG’s toured Europe and got a reception similar to what The Beatles got when they came here. There were two acts at the famous Monterey Pop Festival that blew everybody else away and that was Jimi Hendrix and Otis Redding, with Booker T. & The MG’s playing in Mohair Suits in contrast to Jimi’s flamboyant English rocker duds that he had taken on from swinging London. 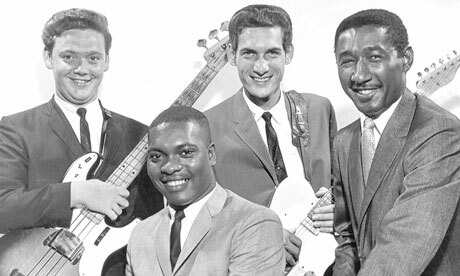 In fact, to the new hippie generation of the bay area, Otis and the band looked downright square, but, the minute Otis with Duck on a solid rhythm section kicked in, they mesmerized the crowd and were considered the best performance of the prototype early rock festival. 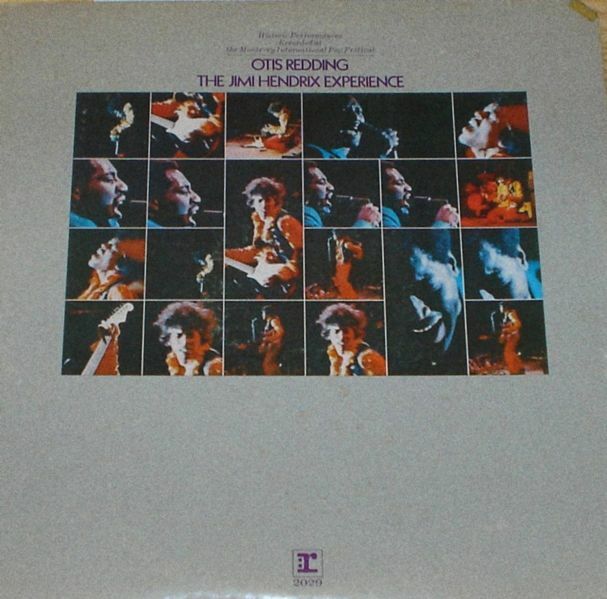 The twin performances were the first to be released as a live recording from that night as a back-to-back live album entitled Otis Redding / The Jimi Hendrix Experience, Historic Performances Recorded at the Monterey International Pop Festival released by Reprise Records on August 26, 1970. Otis Redding was at the pinnacle of his career at that time. 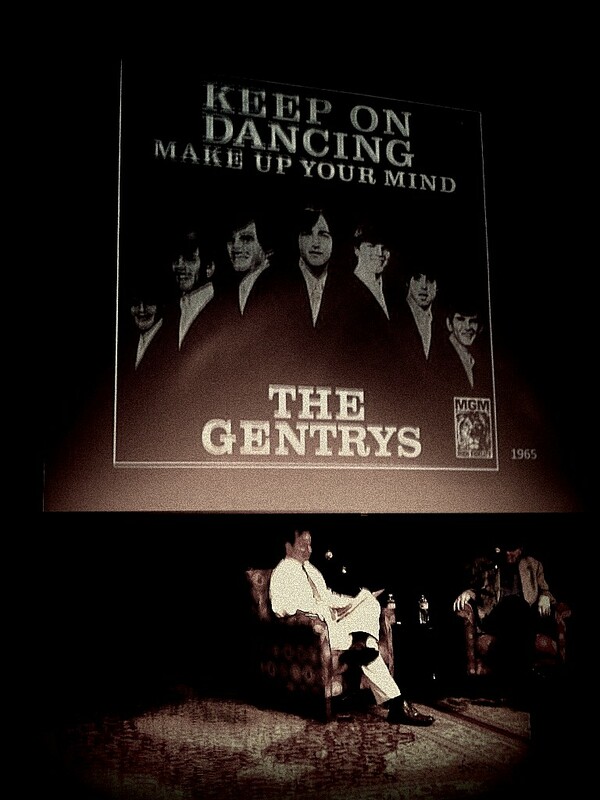 He was booked as the closing act on the Saturday night of the festival, June 17, 1967. 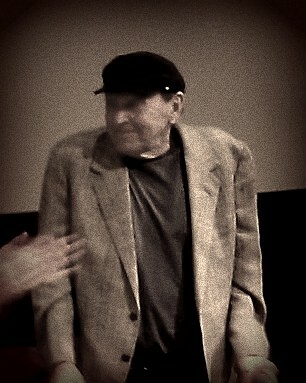 Otis came to the stage following a set by his backup band, Booker T. & the MG’s. 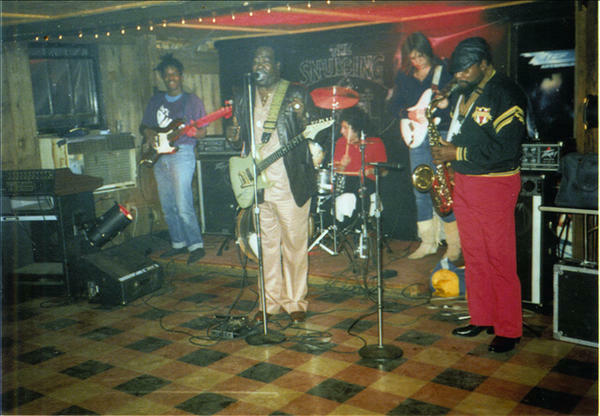 However, Otis’ high charged performance ran into a time limit under the festival’s permit, resulting in his having time to perform only 5 short songs. The performance came on the end of a successful European tour. 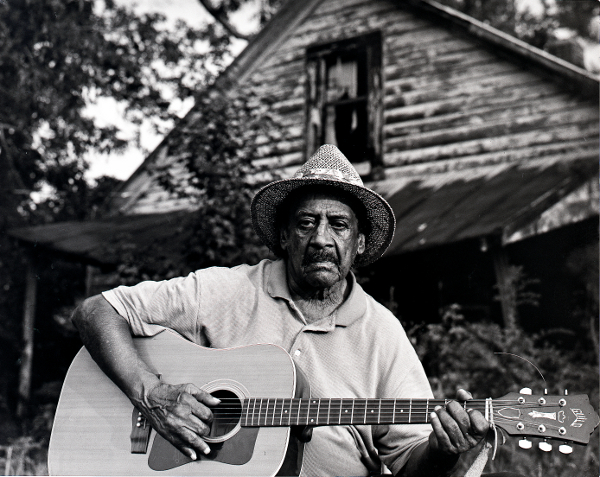 Otis died less than 6 months later, but not before writing and recording his biggest song ever, “Sittin’ On The Dock Of The Bay,” with Steve Cropper listed as co-writer. As the bands’ career started to wind down, Duck became a go-to session man in the 70’s, especially after the demise of Stax Records. 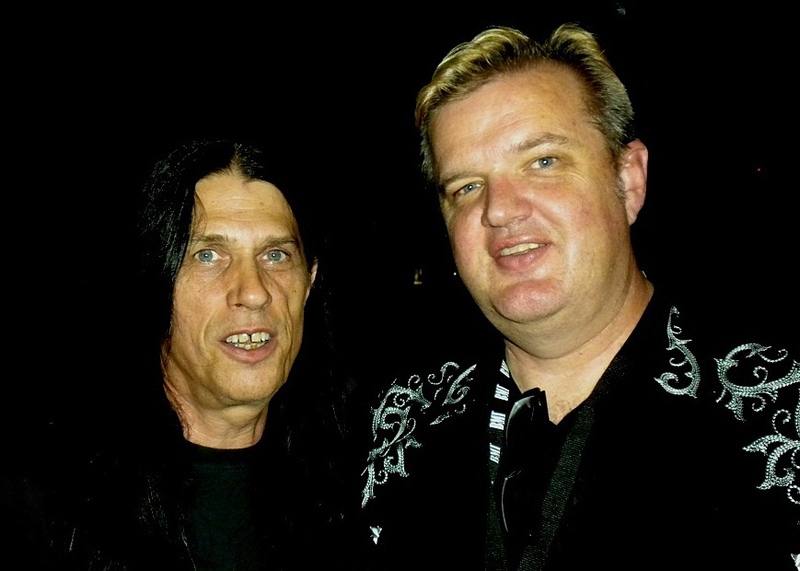 Dunn went on to play for Muddy Waters, Freddie King, and Jerry Lee Lewis, as well as Eric Clapton and Rod Stewart. He was the featured bass player for Stevie Nicks and Tom Petty‘s “Stop Draggin’ My Heart Around” single from Nicks’ 1981 debut solo album Bella Donna, as well as other Petty tracks between 1976 and 1981. 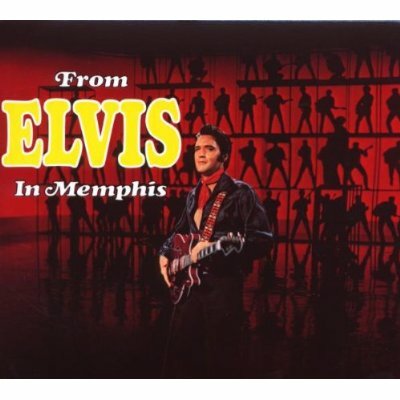 While not credited as playing on any Elvis Presley Memphis tracks, I have reliable sources that in fact, Duck, was called into “fix” the bass parts or rather replace what was recorded earlier on some of Elvis’ biggest Memphis tracks. 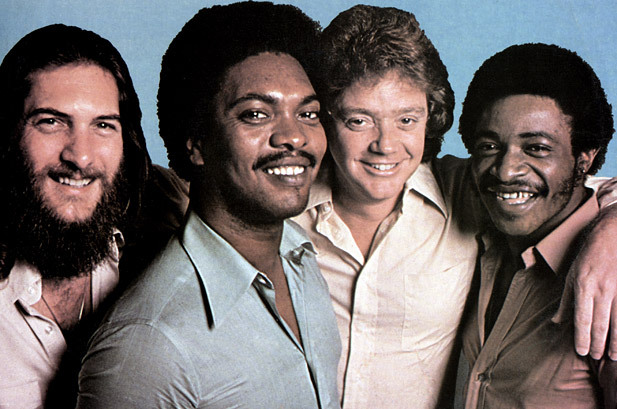 Due to Duck’s contracts or business relationships at the time, it would not have been proper for Duck to be listed in the credits, such was the music business in Memphis in the Sixties and Seventies. 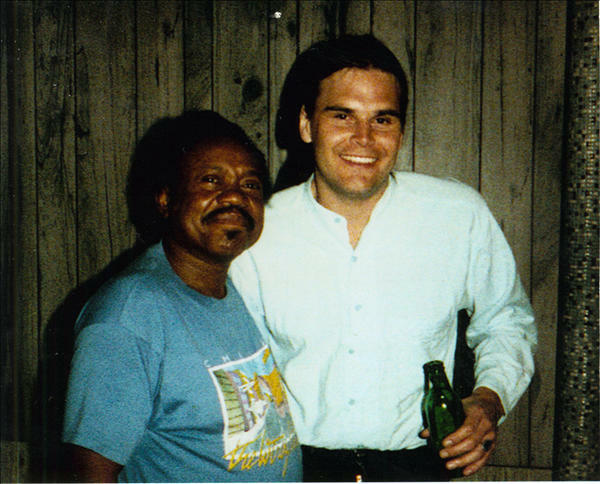 He reunited with Cropper as a member of Levon Helm’s RCO All Stars and also displayed his quirky Southern humor making two movies with Cropper, former Stax drummer Willie Hall, and Dan Aykroyd, as a member of The Blues Brothers band. 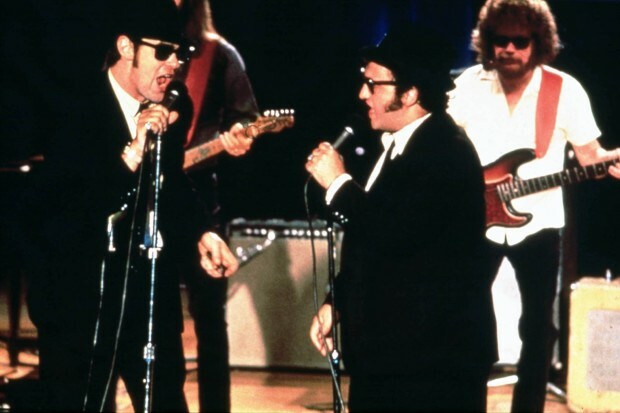 Dunn played himself in the 1980 feature The Blues Brothers, where he famously uttered the line, “We had a band powerful enough to turn goat piss into gasoline!” He appeared in the 1998 sequel Blues Brothers 2000, once again playing himself. 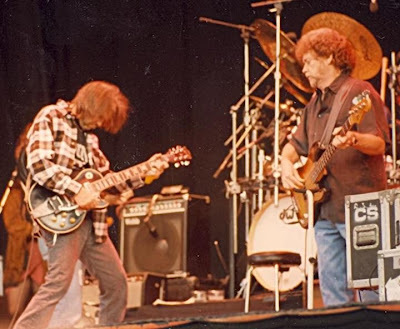 Dunn supported Neil Young live and in the studio and continued to play with Cropper and Jones, usually with the late Al Jackson, Jr.‘s cousin Steve Potts on drums, as Booker T. & the MGs. 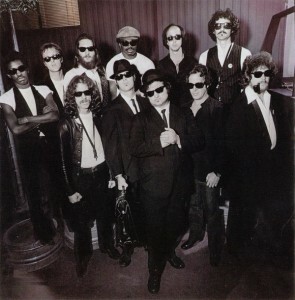 While The Blues Brothers film took place in the north, the music was more than enough pure Stax and featured many of the songs that Duck originally played on. In fact, John Belushi stayed at the home of Duck’s brother in Memphis while working out the music and script for The Blues Brothers movie. In a way, it would have been more accurate if the film had taken place in Memphis. In 1992, Duck was inducted into The Rock and Roll Hall of Fame as a Member of Booker T. & The MG’s. His legacy is carried on by the next generation that listens to Memphis soul and especially his original bass lines. U2 Bassist, Adam Clayton, as well as other current players have mentioned Duck as an inspiration. For the last several years, Duck was still sought out for endorsement deals, musicians wanted Duck on sessions willing to pay whatever it would take, but, it was not about the money, it was whether or not he believed in the music enough to leave some quiet time with family and maybe some deep sea fishing with neighbor and friend, Brian Johnson of AC/DC. 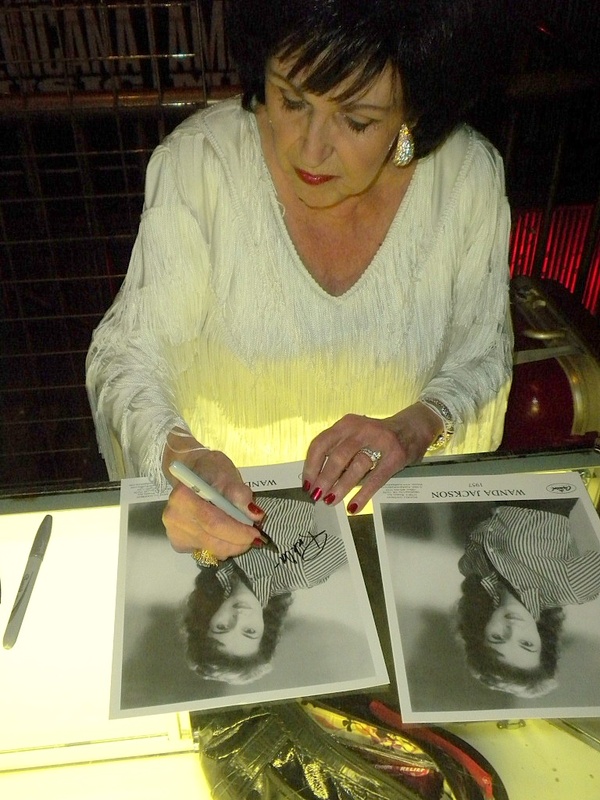 Dunn received a lifetime achievement Grammy in 2007. He is survived by his wife, June; a son, Jeff; and a grandchild, Michael, said Michael Leahy, Dunn’s agent. 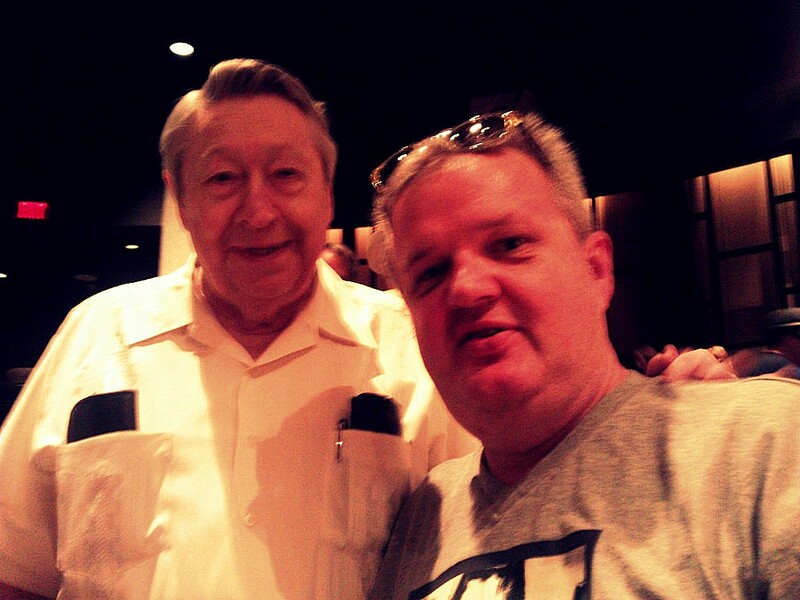 Robert Dunn, Duck’s brother, King Records Memphis Office Manager, Passed away four days after Duck. 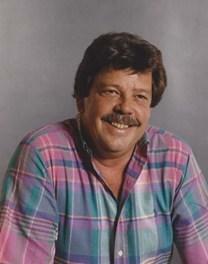 Update: Duck’s brother, Robert “Bobby” Dunn, who was 2 years older died the Thursday after Duck’s Passing. There was a possibility of a double funeral, but, the family decided to keep things separate. The brothers who were close, sharing the same bed until they were 12 years old, growing up in Memphis, were actually reunited in their passing as they were both at the same funeral home for a few days before arriving at their final resting place. 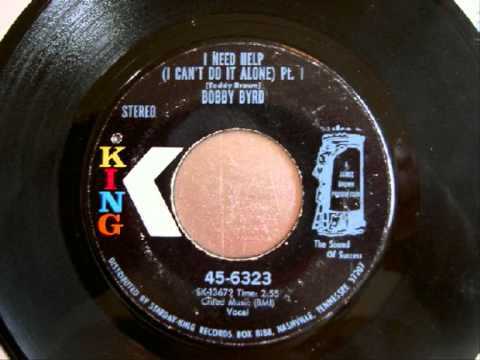 Robert was an avid fan of Rythm and Blues and was responsible for introducing Duck as well as Steve Cropper to the music of The 5 Royales as well as other great music like Hank Ballard that lead to their interest and development in the Satellite, Volt and Stax Records scene starting with their first single as The Mar-Keys while still in their teens. 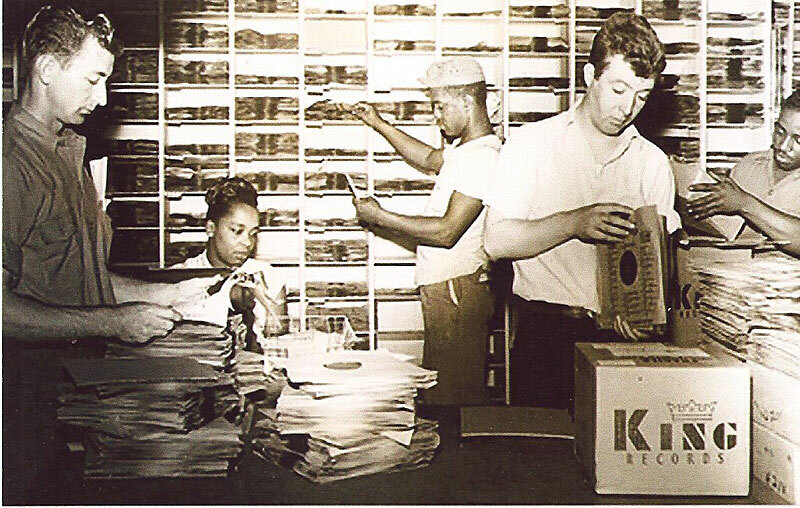 Robert ran the King Records office in Memphis until 1968. This was in a time when there were still a lot of problems in the south. 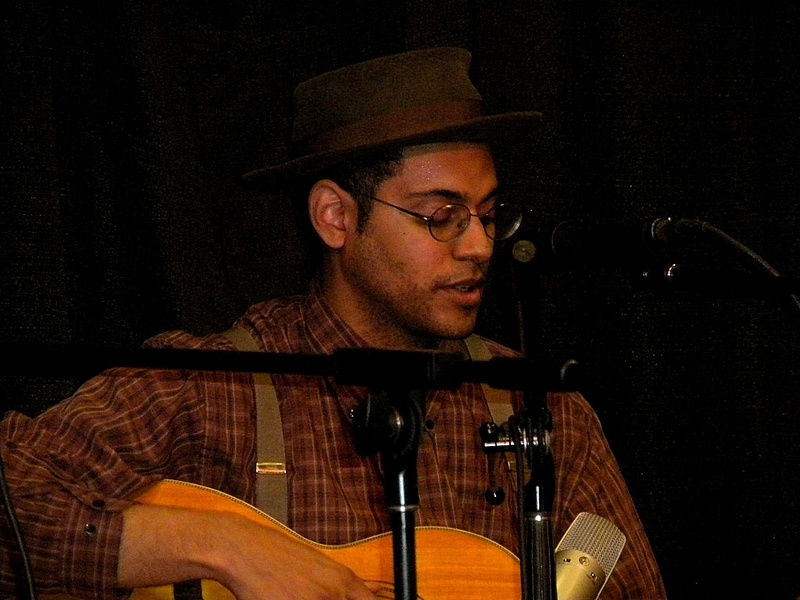 Robert would stay with the musicians in “colored” hotels during those times. On one occasion when he was with James Brown, the Hotel desk clerk was not going to let Robert stay there because he was not “colored”. James Brown said that if he goes the whole band goes and he backed down and Robert stayed along with James Brown and the rest of the band as usual. 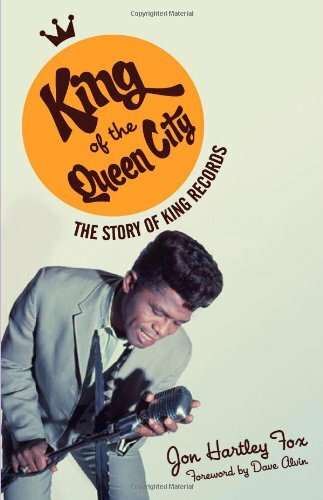 James Brown was involved with King Records at the time, which released singles with a James Brown Production stamp on the opposite side of the King Records logo on the label. Robert had a big influence on what became the Stax sound inadvertently being the brother of Duck and having an influence on him and the younger Steve Cropper. Robert’s funeral took place on Monday with most of the same family and friends that attended Duck’s funeral and Beale Street Parade on Wednesday. They are survived by their older brother Charlie who spoke at both funerals. 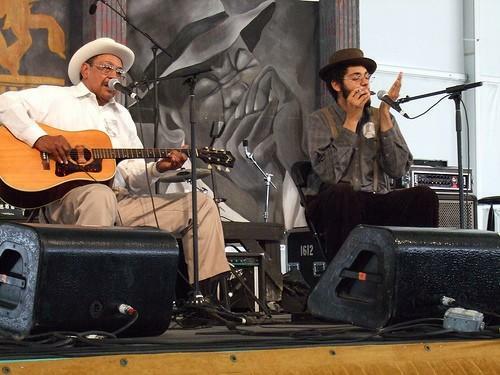 The Line- up for the 27th Annual King Biscuit Blues Festival in Helena, Arkansas, will take place this Wednesday May 9th, 2012 at 5:30 PM at the Cherry Street Pavilion. There will be free food, beverages and music for those of you able to be there. The concert is scheduled for June 8th, Live on the Levee. 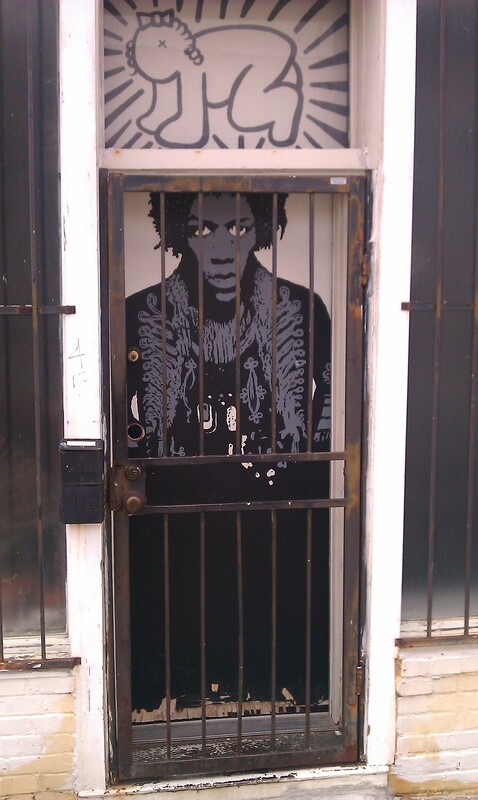 This door is at a secret location in Memphis. 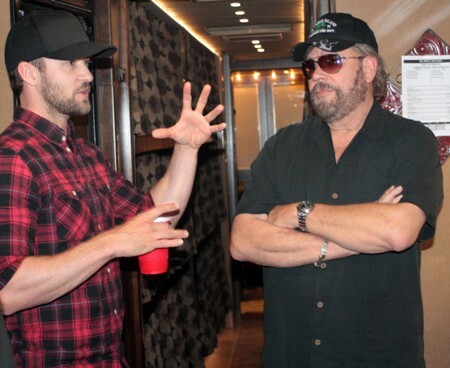 Justin Timberlake along with his best friend/WilliamRast business partner Trace Ayala were hanging backstage in Mississippi last Friday night with country music legend Hank Williams Jr. Williams was in town doing a concert in Southhaven, Mississippi, where Timberlake along with fiancée Jessica Biel, mother Lynn Timberlake, and buddy Alaya all took in a night of some ‘Rockin Randall’. “What a great guy! Justin is a friend of my rebel son Kid Rock. He sure is a good country boy. We talked about girls, guitars, turkey hunting, going on cruises and how much we hate them, even though Bobby (Kid Rock) is on one right now and loving it, ugh! 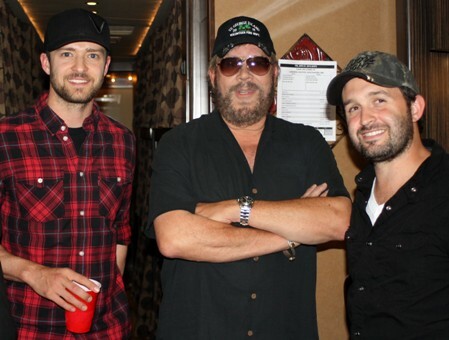 Hell, Justin and I even talking about recording a blues song sometime.” – Hank Williams Jr. When Hank hung with Kid Rock and Pamela Anderson, it was like the Memphis Mafia exploits. 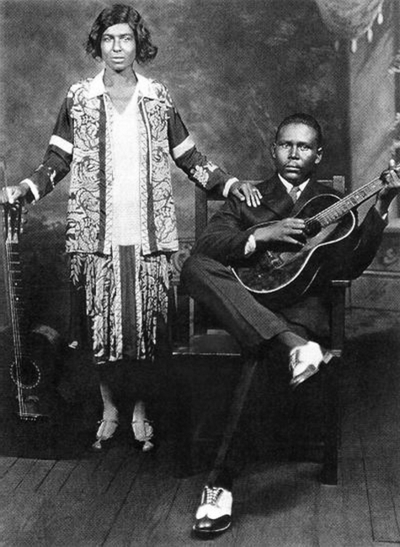 Only got one thing to say, if they do a blues song together, got to do it in Memphis at the currently being restored American Recording. 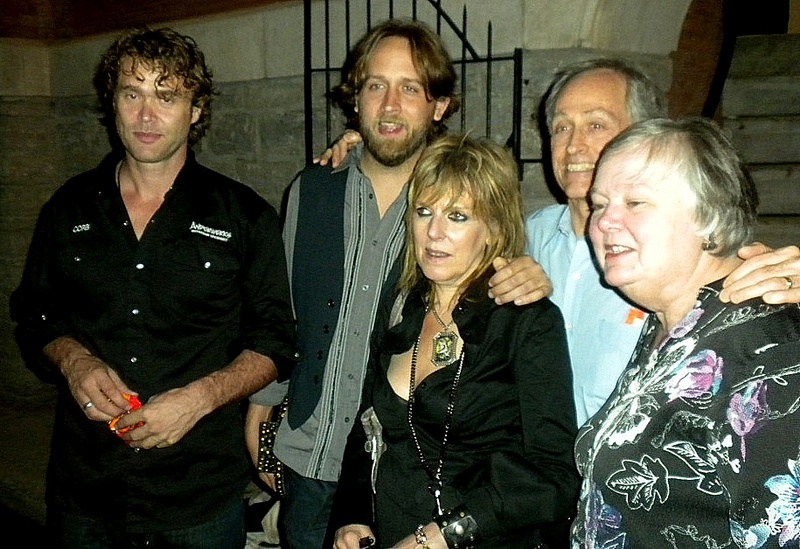 It’s last incarnation was Easley-McCain, with bands like Sonic Youth, Wilco and Jeff Buckley’s final recordings. 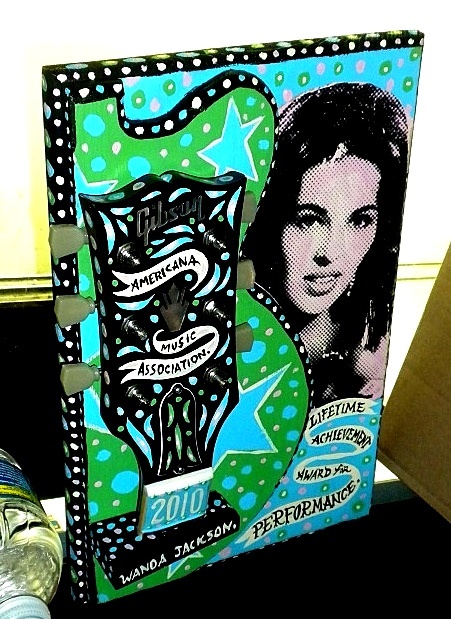 American started out as Fantasy Productions in the late 60’s with two years of secrecy in what looked like a custom build by Elvis Presley with Marty Lacker as the front man. 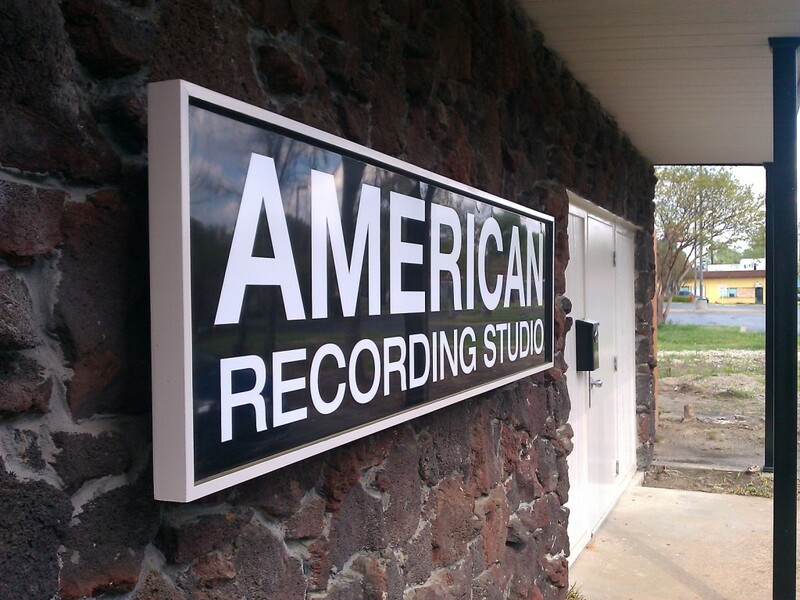 American has a rare hawaiian lava rock (can we say jungle room) facade and a room replica of RCA Studio B in Nashville where Elvis recorded almost everything for RCA and also features echo chambers like Capitol Studios in California. 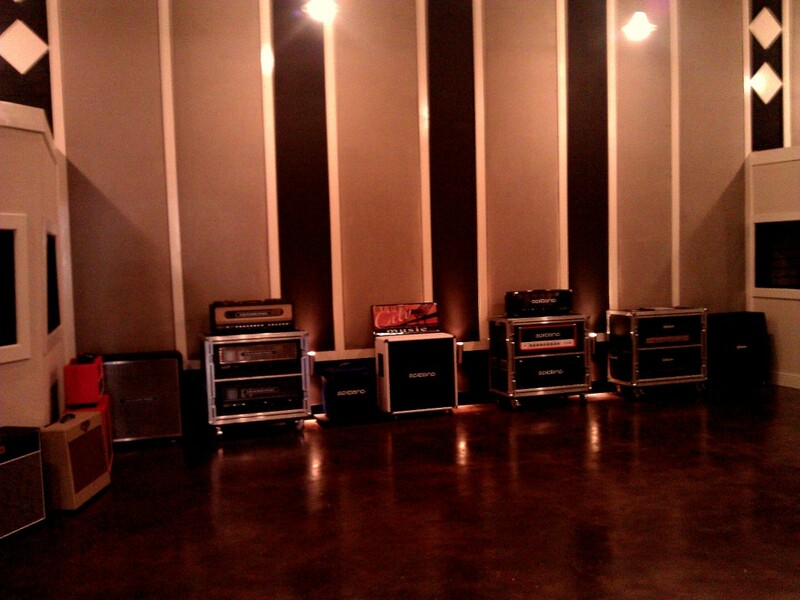 This will by far be the best old school / new school hybrid studio in Memphis. Justin, Hank, if you want to know more, get a hold of me, I’ll put you in touch with the owner. It won’t be open to the public till the end of this year, but, will get you there on the Sly, hey,hey, hey.